SpinKnits was born out of a passion for creating, with the main “spinning” force being Carole, Jennifer, Ingrid, Shirley and nTombi. We are a very close-knit team that have been together for years. 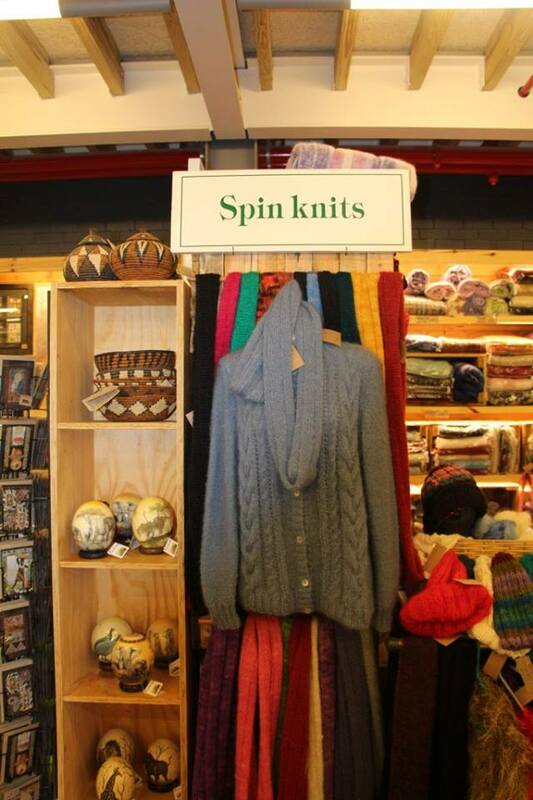 What sets us apart is our love for what we do and our eagerness to provide our customers with only the highest quality hand-spun, hand-dyed, and hand-knitted items. Firstly we would like to introduce Carole, the heart of SpinKnits. 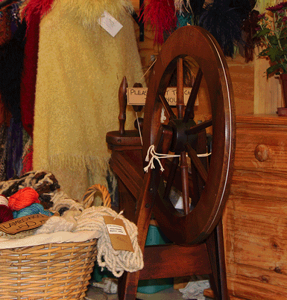 Carole’s love for creating was what inspired her to open a small curio shop that offered hand-spun and hand-knitted products. Thanks to her energy and determination, SpinKnits blossomed into the brand that we have all come to love and rely on. Next, we have Jennifer and Ingrid, two dynamic ladies who share the shifts at the store. These warm and friendly ladies thrive on assisting customers in their quest to obtain the ideal yarn for their next project. They are eager to help you find your perfect match. Then we have Shirley, a vital part of SpinKnits. Shirley is a “spinning” cheerful lady who inspires all around her. Her attention to detail when spinning yarn from Karoo Merino sheep can be seen in every skein. Not only is Shirley a master spinner, but she also prepares yarns for dyeing, before Carole and Jennifer start the dyeing process. Our dying team is Carole and Jennifer. They have the best times over the dye pots creating all the lovely and vibrant colors that fill the store. Last we have nTombi, our static model. nTombi welcomes you as you step through the doorway. She showcases our latest creations and will entice you to buy the hand-knitted clothing right off her body.